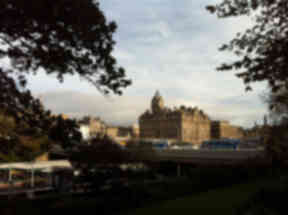 City councillors agree to put visitor charges plan before the Scottish Government. The transient visitor levy (TVL) proposals include a £2-per-night room charge, a cap of seven consecutive nights and investing an estimated £14.6m every year. The Scottish Government has indicated that councils will be given the powers to introduce the tax, which is widely used across Europe. Edinburgh Council leader Adam McVey told councillors on Thursday: "Unless we find a sustainable way of financing the things we use as a city and keep the tourism going, we will start to see a threat and detriment to that experience. "We are already seeing pavements congested and we need to find better ways to manage it all. The Scottish Conservatives voted against introducing the levy, branding it "a garden tax in shorts and t-shirts". How does it work in Barcelona?